YME was created to raise funds to assist students involved in WMEA-sponsored student events. 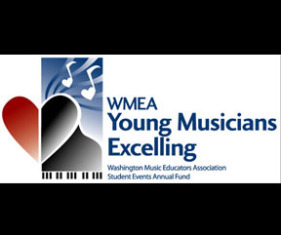 The primary beneficiaries of the YME funds are Washington students who are accepted to participate in WMEA All-State and MENC All-Northwest honor groups. Additionally, assistance is provided for some of the costs in operating regional solo and ensemble contests to help keep student costs as low as possible. To date, YME funding has not only helped keep the overall honor group cost significantly lower for all students, but every student truly needing assistance has received the full amount requested. YME does not offer “scholarships,” but rather “need-based assistance.” YME also advocates for music education at all levels.